Andrea Guardini (born 12 June 1989) is an Italian cyclist, who rides for the Kazakh team, Astana. 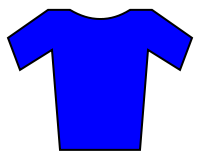 A sprinter, Guardini currently holds the record for most stage wins at the Tour de Langkawi with eighteen stage victories; recording five at the 2011 race, six in 2012, one in 2013 and two in 2014, and four in 2015. As of March 2015, the majority of his race wins had come in the Tour de Langkawi. Guardini left Farnese Vini–Selle Italia at the end of the 2012 season, and joined Astana on a two-year contract from the 2013 season onwards. In September 2016 it was announced that Guardini would join Lampre–Merida for the 2017 season. 1 2 "Guardini joins Fuglsang in move to Astana". Cycling News. Future Publishing Limited. 16 August 2012. Retrieved 16 August 2012. ↑ Quénet, Jean-François (3 March 2012). "Guardini sets new record of stage wins at Le Tour de Langkawi". Cycling News. Future Publishing Limited. Retrieved 3 March 2012. ↑ Stokes, Shane (4 March 2012). "Serpa wins Tour de Langkawi, Guardini grabs sixth sprint victory". VeloNation. VeloNation LLC. Retrieved 4 March 2012. ↑ "Andrea Guardini". ProCyclingStats. Retrieved 15 March 2015. ↑ "Marcato, Guardini sign with new Chinese WorldTour team Project TJ Sport". cyclingnews.com. 28 September 2016. Retrieved 28 September 2016.